In 1948, the Sisters of the Poor Child Jesus opened the Sacred Heart Cottage Home at 3 Minto Road, Hillsborough, Sheffield, adjacent to the Sacred Heart Convent. 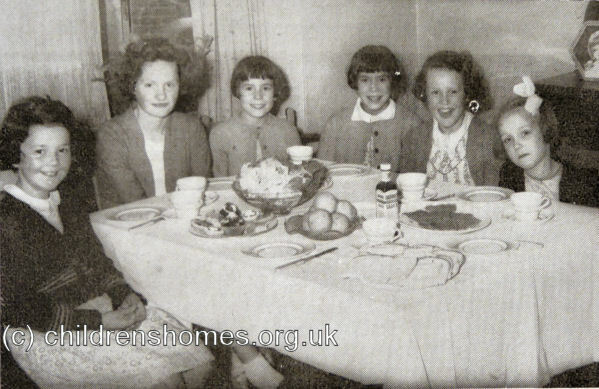 The Home, which was under the overall management of the Leeds Diocesan Rescue and Protection Society (now Catholic Care), could accommodate up to ten school-age girls. In 1953, the Sisters opened second home close by, on Dykes Hall Road. Sacred Heart Cottage Home, Minto Road, Sheffield, c.1950s. By the 1960s, the Minto Road establishment had become a family group home, housing up to nine children aged from 3 to 16 years.